Tone, Tighten and Firm in as little as 45 minutes. 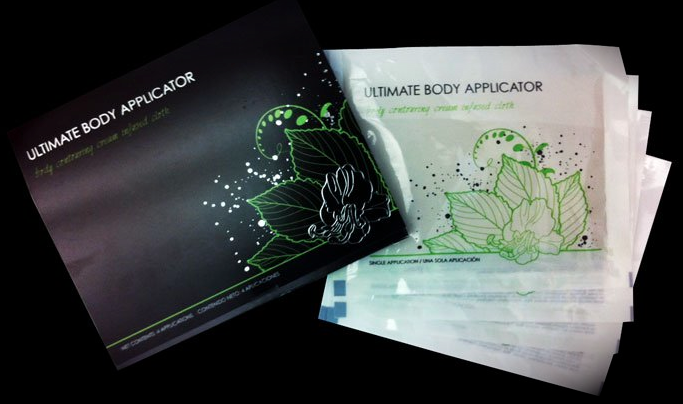 Try one today for $25.00 or become a Loyal Customer and receive 4 wraps for $59.00! This wrap has a botanical lotion that is applied to the bodies biggest organ, the skin. Leave on for 45 minutes and let the organic ingredients get to work. One of the easiest ways to get your 8 servings of fruits and vegetables, 38 herb and nutrient rich foods, all while helping detoxify and alkalize your body. Just add one packet to water and enjoy! Want to know how you can earn a $10,000 bonus? With It Works, becoming a Distributor means extra cash in your pocket. Aside from your commissions, bonuses and free product, you will be on your way to earning a $10,000 bonus the day you start. How much to start your own business? Just $99.00 and that includes the Starter Kit with 4 Body Wraps (which you can sell for $25.00 a piece and make your money back) a folder to organize your papers, and marketing tools! Hi! I'm Tabitha Roman, an It Works Distributor. Are you ready to try that Crazy Wrap Thing? Contact me!